Living in an apartment complex, I see how mobile people are. People move out, the complex’s maintenance staff cleans and shampoos, and within a few days a van pulls up and someone else moves in. It is a revolving door of humanity. Of course it is orchestrated to happen that way. 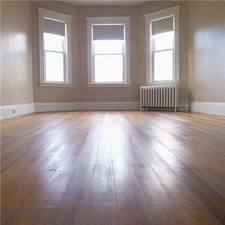 The complex will lose money if a unit stays empty very long. They maintain a 97% occupancy rate. Our souls are no different. If we have let hatred, or prejudice, or hurt, or regret, or an addiction take up residence for very long, it can make a mess of this house called us. We become dirty and cluttered inside. Everything we do and say is filtered through that negativity. It is not enough to banish or evict whatever negative emotion has been cluttering up our moods, thoughts and lives. Nature abhors a void. It will try and fill it with something else. Human nature is the same. Having lived with an emotion for so long, we will seek another to dwell instead. 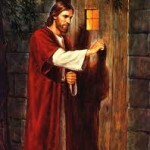 Jesus also said in Revelation that He stands at the door and knocks, asking if He can enter and dwell inside us. We have the choice to let Him in, or let our demons return seven fold. If you are harboring a negative thought or habit, by all means ask Christ to help you release it. Kick it out of your house by calling on His name. Just make sure you let His Spirit fill the void. Don’t let that demon, or any of his friends, move back in. Pray more, read and study Scripture on a consistent and continued basis. Ask Christ to help you see things through His eyes. Seek to find Him each day throughout your day. 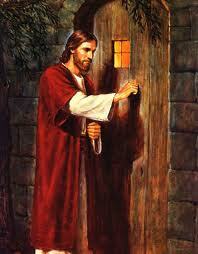 Respond when He knocks and wants to come in.